I made these cute treat bags a couple of days ago in preparation for a stamp camp I had Tuesday. They are made with one of my favorite halloween sets from The Angel Company called Happy Haunting. They are pretty straight forward… a cello bag topper and cardstock wrapped around a cello bag. I used the circle coluzzle to cut the circle in the project above. My next stamp camp is scheduled for September 30 at 12 noon. The project themes will focus on Halloween and Autumn. I can’t wait. Fall is my favorite time of year. Email me at kandys@kandyskeepsakes.com if you’d like to register. The cost is $10.00 for 3 projects. All stamping supplies from The Angel Company. 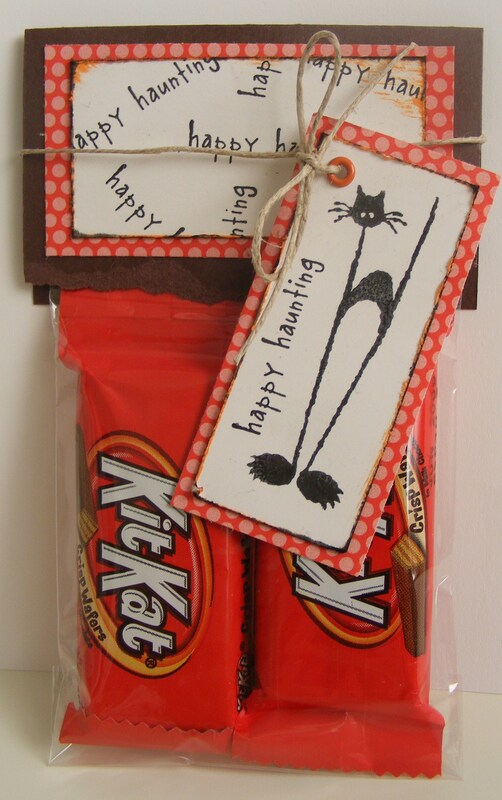 This entry was posted in Treat Bags and Boxes and tagged black cat, Halloween, rubber stamping, The Angel Company, Trick-o-Treat Bags. Bookmark the permalink.